The hottest properties on the Costa Blanca today! Pick up a bargain home in Spain with this issue of Costa Blanca Property for Sale magazine. Our latest publication illustrates the best bank owned property bargains across the Orihuela Costa. From luxury villas to bargain apartments each property is a great value, and with prices from just €44,500 our overseas property is affordable for everyone. Completely free to download or read online and fully digitally interactive too. Just click on any property for more information. Click here to download your copy now. 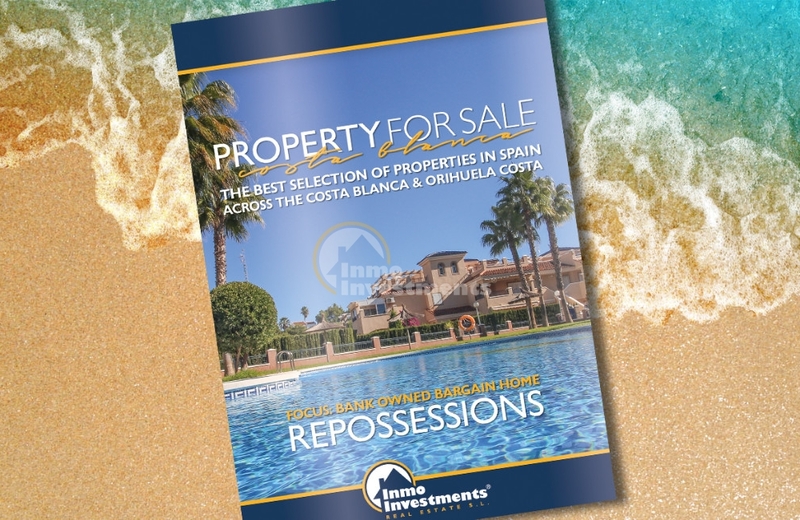 Alternatively, to browse our current portfolio of repossessed property in Spain simply click here. Please note: We have taken every precaution to ensure the accuracy of information and data at the date of publication. However properties, prices, and specifications are subject to variation and availability.